It is recommended that electrical repair and maintenance or additions have to be carried out by qualified electricians. The electric installation is very important and dangerous components of the house. 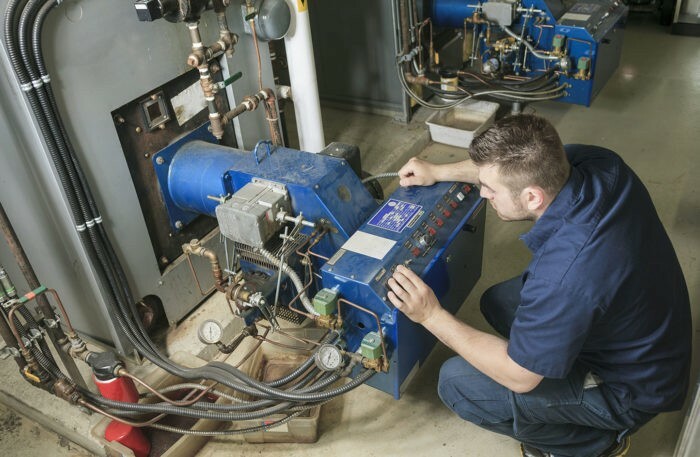 The gas and electric system are the only places where improper connections or installations can lead to serious death or injury. While minor repairs, like replacing switches and receptacles, can be done by homeowners with knowledge in repairs should the system malfunction. The peace you will have knowing that the repair is done in a proper, safe manner is worth the expense. Additionally, trying to carry it out by yourself may result in very costly bills for repair. There are many occasions when you would waste hours trying to repair your HVAC while it is something that would take ten minutes. A good instance is trying to handle electric repair for lighting or HVAC by yourself. You will remove the electric system or light and in the process, you end up undoing all splices. This is not just unnecessary but also makes it tricky for the electrician to come in to do the installation for you. The electrician will have the hard task of tracing the wires to get the origin of the splices and put them back to their place. It also involves the elimination of receptacles and switches and replacement which is a very long process. Homeowners who are trying to do problem troubleshooting by themselves can bring more problems and result in very expensive repair bills. The reason is because the electrician coming in after the homeowner has destroyed system parts does not have a way of knowing the way it originally was, making it very hard to do troubleshooting. On many occasions, just from experience, the electrician will see the source of the problem by observing current conditions. This is something that is hard to do when things are apart. One thing that you need to do to lower unnecessary repair bills for you HVAC or lighting system is by mapping out your circuitry. This is not just to mean labeling the AC but the whole electric installation. This can be done by drawing a plan out for the house with electrical devices shown in all areas and room of the house. You will have a separate page for every area and room or have a page to the whole house or combine it. After drawing you electrical repair and maintenance plan, turn one breaker off. You can then go all over the house checking for the system that is not functioning. When you identify these devices, label them from the drawing with a breaker number. Do this for each break in the system. You do not need specialized testing tools to do this. Utilize the electric device such as the drill and check all receptacles by use if the device of choice. Doing this will serve two purposes. Should you decide to call a technician, then he will start working from a ready-made map to cut hours of troubleshooting. This will assist you to identify the control receptacle which may elect for replacement. This helps in ensuring a safe job minus cycling via the breaker or turns the main breaker and leaves the house due to darkness. It is unfortunate that a lot of bad electrical repair and maintenance professional are taking advantage of customers. There are so many good professionals that can give you the best services. If you want an experienced electrician, you can use the tips below to choose on that will serve you best. History is crucial because there are very many firms in the market that will cheat you and provide services of poor quality. It is crucial to go for a firm with an excellent track record and has happy customers. Speak to existing customers to confirm this. It is also good to shop around to get the best electrician. Speak to family and friends to get recommendations since they will give you genuine feedback. Safety is also an aspect to put into consideration for the contractor. You need to ensure that you employ someone that can finish this task. If you do not get a referral, go to online directories. Take time to interview the technician of choice.